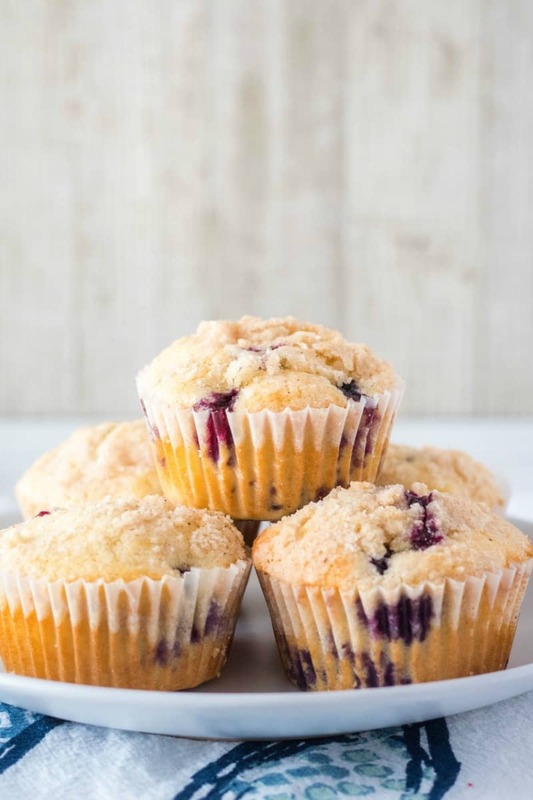 Easy Blueberry Streusel Muffins are a simple recipe made with fresh blueberries that’s the perfect way to say good morning to your favorite person! When it comes to recipes I’m all about simple. Sure I’ll take a stab at a fancy recipe like stuffed pork loin now and again, but when it comes right down to it crock pot recipes, poke cakes, and these blueberry muffins have my heart. 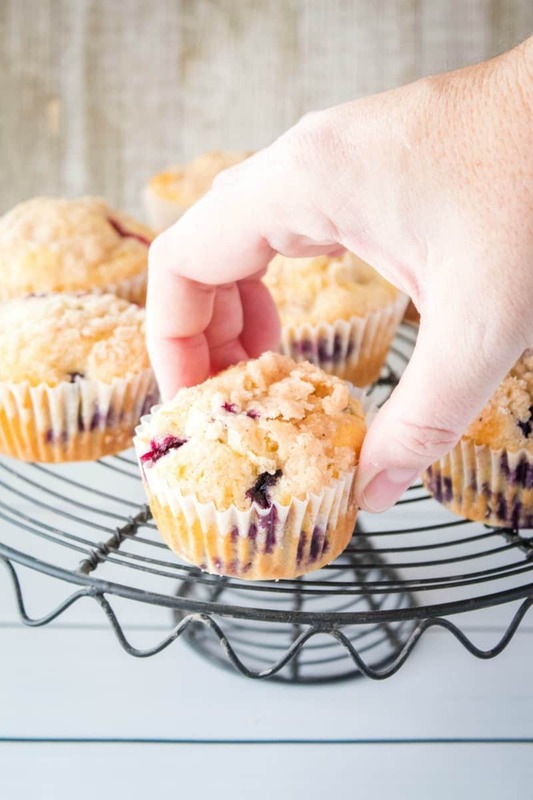 My Easy Blueberry Streusel Muffins will rival any bake shop and they make a big batch so you can share with friends! 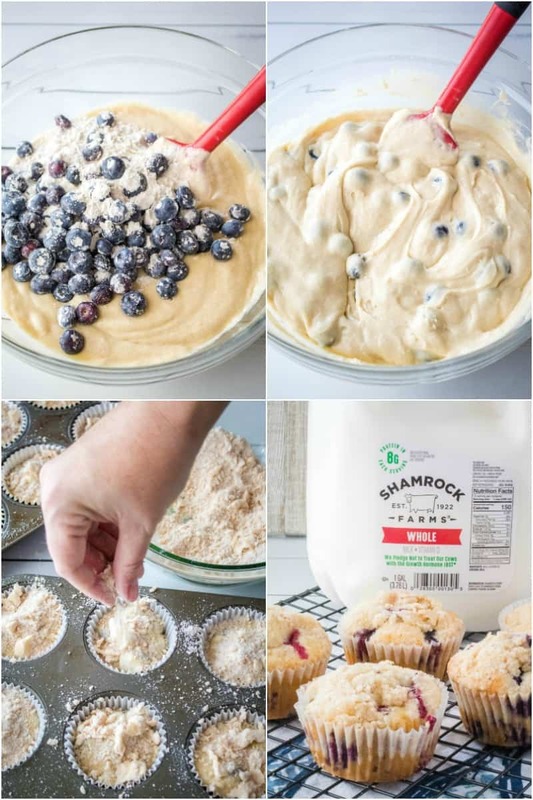 A really great blueberry muffin recipe starts with great ingredients, like Shamrock Farms milk and fresh blueberries. Shamrock Farms has been an Arizona staple for years, 97 years to be exact. This family-owned dairy prides itself on milk products that begin with pure, wholesome, nutritious milk without any added growth hormones. And let me tell ya, you can taste the freshness in every glass! 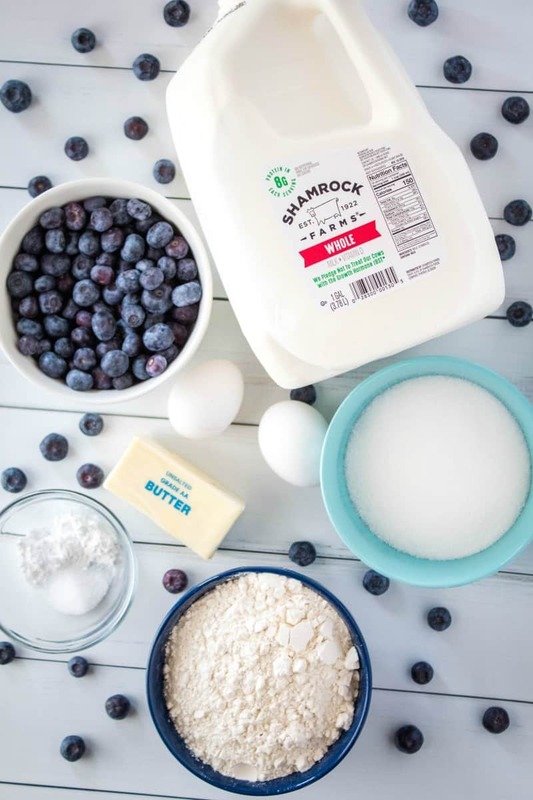 Pair that creamy, delicious milk with some basic baking ingredients and blueberries and you’ll have a breakfast treat that brings everyone running to the table! Mix together flour, baking powder, and salt in a bowl. Set aside. Beat together butter and sugar. Add eggs one at a time and mix. Add vanilla and mix. Add half of the dry ingredients to wet ingredients. Mix. Add milk and mix. Add remaining dry ingredients and mix to combine. Stir in blueberries by hand. Fill muffin tins coated in non-stick spray or lined with cupcake liners with muffin batter. Top with streusel mixture. Bake until a toothpick inserted in the center comes out clean. Let cool to room temperature or serve warm. 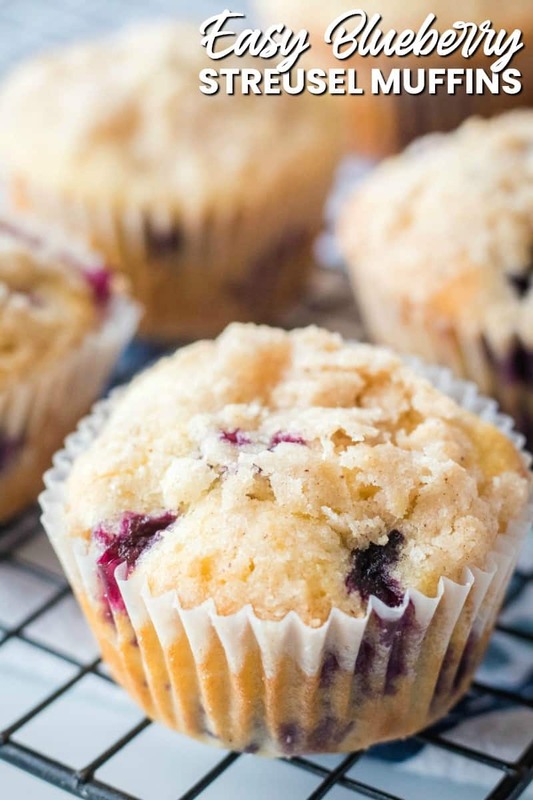 These are seriously easy blueberry muffins. I know baking is a science and everything, but follow the recipe and you’ll do great. I’ve made these muffins for years and they come out perfect every time. I’ve even used frozen blueberries when I can’t get fresh (or they cost like 5 million dollars) and everyone devours the muffins. Thank goodness this recipe makes two dozen. I have never seen anyone have a single muffin, they ALWAYS go back for seconds. I like to call these the best blueberry muffins, but that’s not just my opinion. Anytime I mention making these blueberry streusel muffins my youngest stalks the kitchen all day. He’s a blueberry muffin connoisseur. When a certain coffee shop discontinued their blueberry streusel muffins he was so sad. Now I make him these muffins instead and everything is right in his world again. Hence the stalking of the muffins. Last time I made a batch a couple friends ended up stopping by. They said the muffins were killer and I had them each take home a plate. The moral of the story is that if you stop by my house on a cooking day, I’m sending food home with you. Mostly so Mike and I aren’t left trying to eat it all ourselves, but also because food is love and I like to share the love. 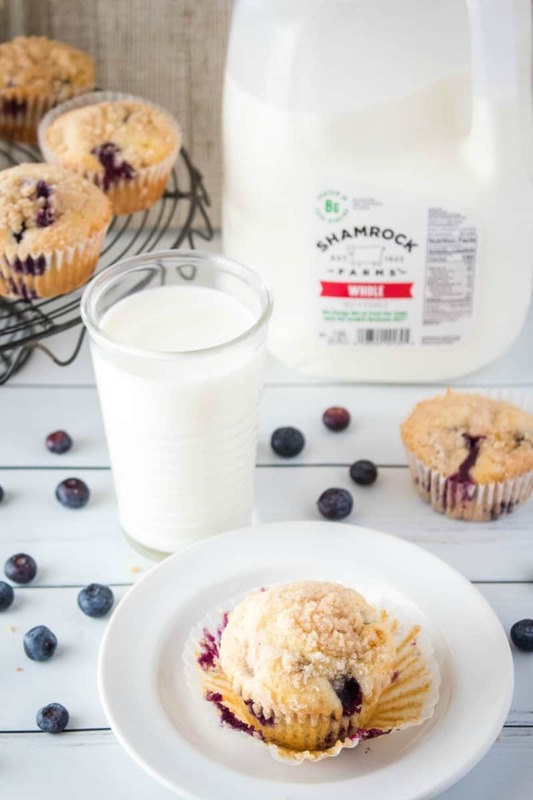 Usually, I enjoy my homemade blueberry muffins with a cup of coffee or a nice cold glass of Shamrock Farms milk. It’s easy to find! Just look for the new Shamrock Farms packaging with their spokescow Roxie in the dairy section of the grocery store! The new packaging has a pure fresh look to mimic what’s inside every gallon. It doesn’t matter if you grab whole milk, 2%, 1%, fat-free, or chocolate milk your family is going to notice the difference in their milk and love you for it. You’ll love the 8 grams of protein and 9 essential nutrients in every 8-ounce serving. No wonder milk is the #1 source of calcium in the American diet. It’s just so darn tasty! Now you’re officially super mom…or super dad. Dad’s can totally rock out some milk and muffins too. Now that you’re ready to dive into these muffins how about going to the source?! I’m giving away a Shamrock Farms tour on February 9, 2019, and gallon Cash Cows (AKA free milk) to one lucky reader!! There are 3 tour times to choose from, special Valentine’s Day activities, and it’s a really fun experience for the whole family. 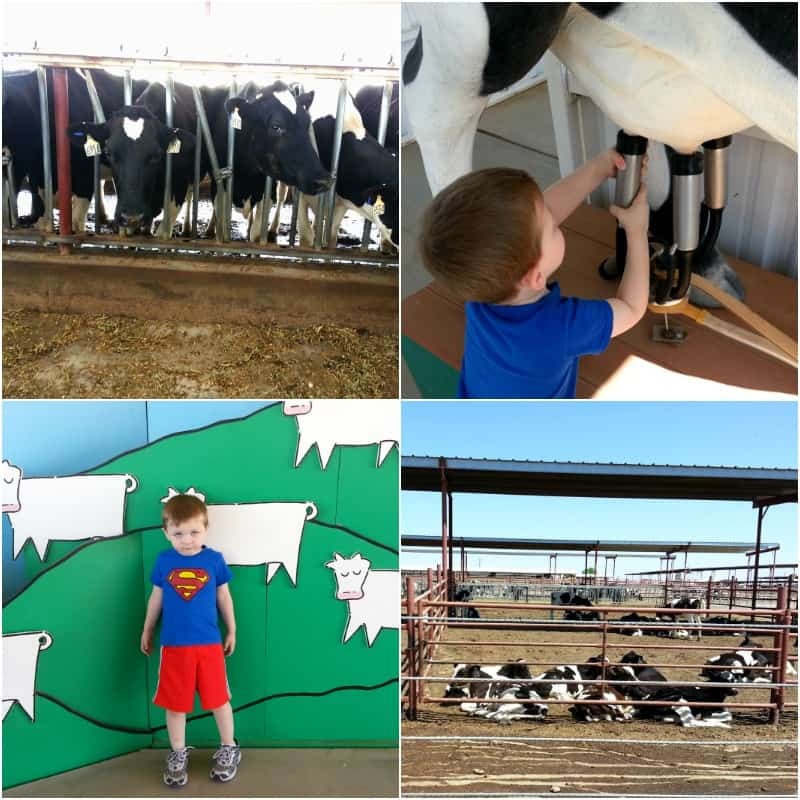 I took the boys 5 years ago and we had a blast learning about dairy farming, meeting the cows, and trying some delicious Shamrock Farms treats. Eddie may have even gotten a Roxie plush at the gift shop too. He’s an animal lover. 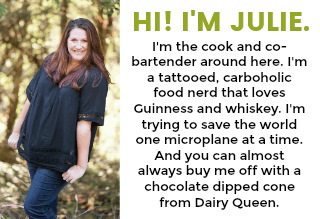 To enter, simply leave a comment on this blog post letting me know your favorite recipe using milk along with your email address so I can contact you if you’re the big winner! Winner will be chosen February 3, 2019, and have 48 hours to confirm prize receipt or a new winner will be chosen. For more news and updates about Shamrock Farms, visit www.shamrockfarms.net and follow facebook.com/shamrockfarms and @shamrockfarmsmilk. 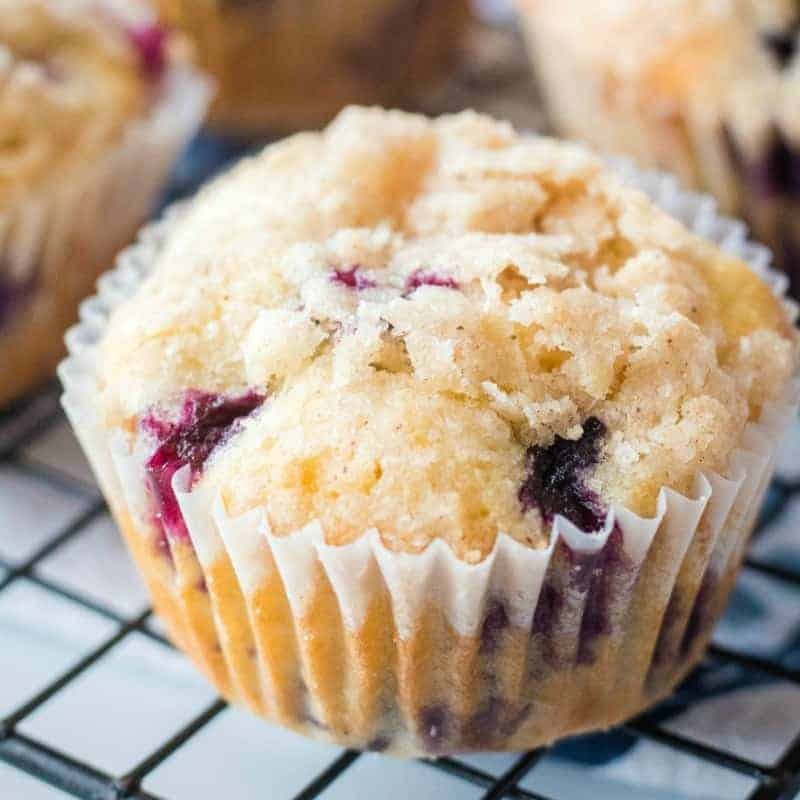 Easy Blueberry Streusel Muffins are a simple recipe made with fresh blueberries that's the perfect way to say good morning to your favorite person! Preheat oven to 375 degrees F. Line two muffin tins with cupcake liners. Set aside. In a large mixing bowl, beat together butter and sugar until pale and fluffy, about 1 minute. Add eggs, one at a time, mixing after each addition. Add vanilla and mix until combined. Scrap the sides of the bowl as needed. Add 1/2 the dry ingredients to the wet ingredients. Mix until just combined. Pour in the Shamrock Farms whole milk and mix to incorporate. Add the other half of the dry ingredients and mix until combined. Use a rubber spatula or wooden spoon to mix in the blueberries by hand. In a medium bowl, stir together flour, sugar, and cinnamon for streusel. Use a fork to cut in the butter. You want to work quickly so the butter doesn't get too soft. When the butter is incorporated, you should have a crumbly sand texture. Sprinkle streusel over the tops of the muffins, as much or as little as you like. Bake muffins for 25 to 30 minutes, or until a toothpick inserted in the center comes out clean. Remove muffin tins from oven. Allow muffins to cool in pan for 5 minutes before transferring to a wire rack to cool completely. Serve warm or at room temperature. If blueberries aren't in season, you can substitute 1 1/2 cups frozen blueberries. Do not thaw the blueberries first or they will bleed into your muffin color turning them blue/purple. I will be making these muffins for the weekend. Having delicious muffins on hand makes for an easy weekend breakfast. We have kids of all ages and different wake up schedules, so this makes mom’n much easier for me. Win all around!! Love the muffins and of course the shots. Your blog is awesome embarrassed to say I haven’t been on for a very long time. Would love to take the kids to the farm with you.